Dubai: Japan have promised to be more aggressive against Iran when the two clash in their semi-final of the 2019 AFC Asian Cup at the Hazza Bin Zayed Stadium in Al Ain on Monday. 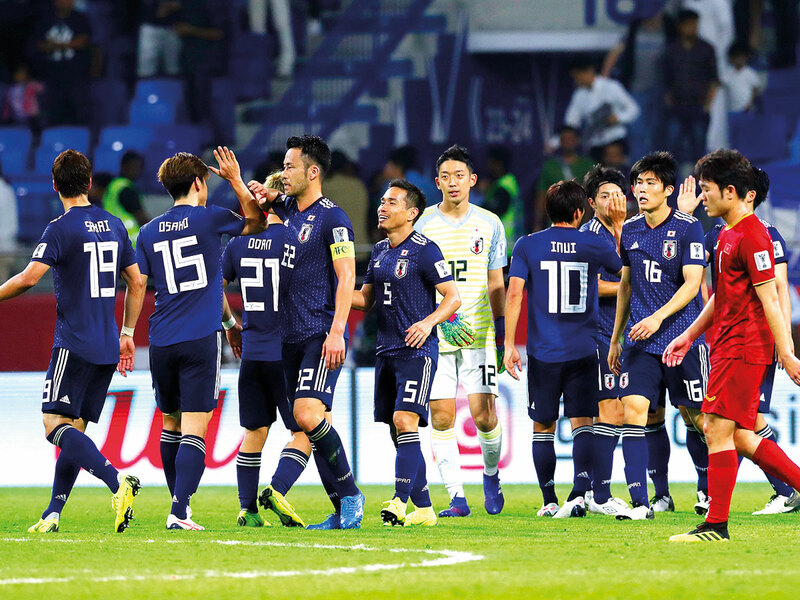 Japan carved out a 1-0 win against Vietnam — becoming the first team in the tournament’s history to win five consecutive matches by single-goal margins — in an engrossing quarter-finals played at Al Nasr’s Al Maktoum Stadium, late on Thursday. Japan dominated the match, and shrugged off being denied skipper Yoshida Maya’s 24th minute-header by the Video Assistant Referee (VAR), to win after Ritsu Doan’s penalty in the 57th minute was enough for the Samurai Blue to advance. Ironically, it was a VAR review that led to Japan’s goal, as they were awarded a penalty after Ritsu had been brought down in the box. Their semi-final opponents Iran, meanwhile, had very little trouble as they dumped Marcello Lippi’s China 3-0 at Abu Dhabi’s Mohammad Bin Zayed Stadium with goals from Mehdi Taremi, Sardar Azmoun and substitute Karim Ansarifard. Japanese coach Hajime Moriyasu insisted that his side’s performance against a feisty opposition like Vietnam was adequate proof that the Samurai Blue are growing stronger with each passing match. “It was very important that we win and advance to the semi-finals. It is good we played for the win and got it. I think going with five wins means we have developed further as a team,” Moriyasu told media at the post-match conference. “As a team, we earned another solid experience, and hopefully, it will be the same for the next match. We have players with little international experience and it is important that they are exposed to tough matches on a big stage like the Asian Cup. Playing tough matches and winning in the knockout stages boosts confidence and also leads to the development of the players and team,” he added. Champions in 1992, 2000, 2004 and 2011, Japan have been less than convincing in the five matches played so far. Their entry into the semi-finals on five earlier occasions came 1992, 2000, 2004, 2007 and 2011. They crashed out in the quarter-finals at the 2015 edition held in Australia. He said Vietnam played with patience, but Japan did not. “Our players were focused and they kept doing what they had to do. We definitely need to be more aggressive and accuracy is something we need to improve in our next game,” Moriyasu added.